Bill Henniger fills us in on the mountain of equipment present at this year's event. 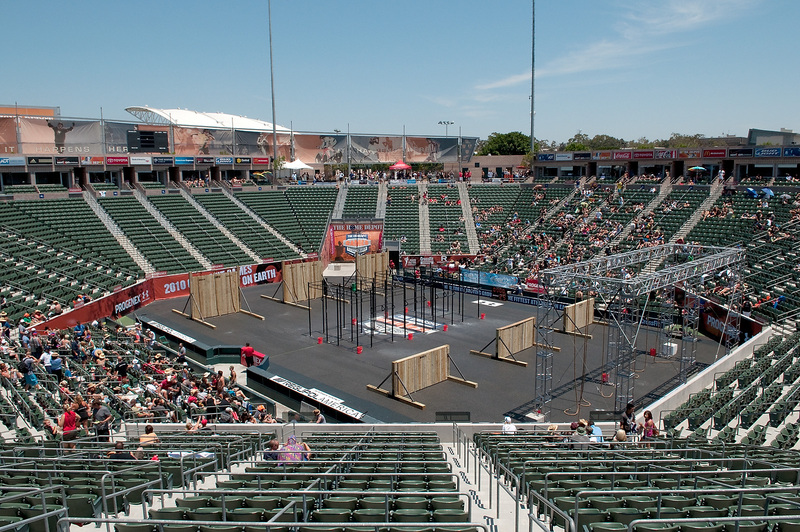 Bill Henniger and the team from Rogue Fitness supplied 3 truckloads worth of gear in order to keep the 2010 CrossFit Games moving. Henniger checks in with the following report on what it took to get the job done. 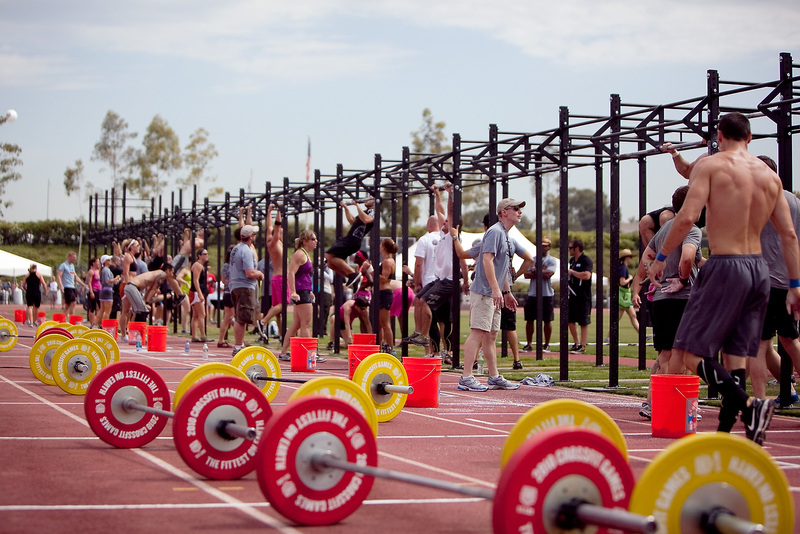 The planning for the CrossFit Games equipment arsenal began in early 2010. Our goal was to provide a complete toolbox of equipment so that the workout selection was limitless. We also knew this wasn’t any old event so we brought out our A Game. We arrived in LA late Monday night and began unloading three semi trucks on Tuesday morning. That is when the work began and it did not end until 2PM on the following Tuesday. We brought a crew of six to lead the various construction jobs but there is no way we could have pulled it off without Tucker and Chantel bringing their crews over to help. The first day we built the longest pull-up structure ever assembled (I think - still need to call Guiness) on the track to support the affiliate workout. At any one given time you could have about 200 people doing pull-ups on the rig. The big night was Saturday as the events closed around 10PM. We had to build all the walls, a big pull-up rig and have the 20’ rope climbe structure in place by 6AM. With a crew of approximately twenty people we built everything by 530AM. It was well worth it to see the faces of everyone as they walked into the stadium on Sunday morning. We prepared for this event over a span of about six months and it was every bit as difficult to pull off as I had imagined. 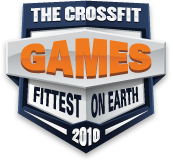 Ten years ago I was making transmissions at a GM plant in Toledo Ohio and now my crew just built some of the most wicked equipment for the 2010 CrossFit Games. I couldn’t be more proud of my team and more thankful to those that helped us make this happen. 1) (15,000 lbs.) of Custom Color LB Plates with the CrossFit Games Logo. 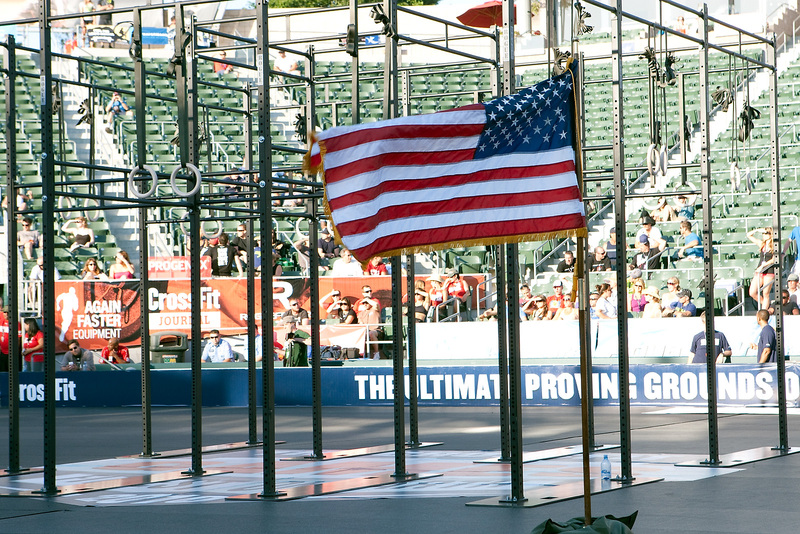 This event was the first place in the US to see these new competition plates. They will always be known as the Games plates. 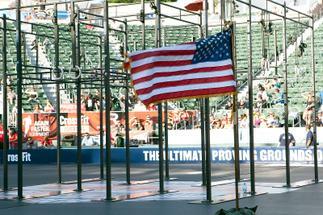 2) (80) Each Rogue Castro bare steel bars for Men and Rogue Bella Bars for Women. Rogue HG Collars were the choice for this event to keep them from popping off during the events. This Infinity Rig system allowed us to make all the different layouts above based on Dave Castro’s requirements. 6) New 20/24/28 Games Plyobox - Dave told me about a year ago that he had built a box that ended up with three sides. Kris Warner engineered for the games and now we have the Games box, he also engineered the Walls! 8) Misc Items: 80 Med Balls, 30 Weight Vests, Sleds, Dumbbells, Butchers and a whole bunch of other items. If you want to see the walls, we gave 2/3 each size away on Monday. I am certain they will be getting scaled by athletes again very soon! Thank you Bill and Caity for your endless energy and providing a spectacular 2010 "Games Playscape"! 26 July 2010 / 3:06 p.m. Fantastic job! Any of this used equipment available for sale? 26 July 2010 / 5:46 p.m. I'm curious about the sale of used equipment as well. Especially the bumper plates. Tony Blauer posted a pic after the games with the gear he purchased. Jealous! 27 July 2010 / 1:31 a.m.
27 July 2010 / 2:05 a.m.
What was new about those plates vs. the custom bumpers Rogue had at the South Central Regional? 27 July 2010 / 9:43 a.m. I was wondering if any of the infinity rigs might be for sale? 09 September 2010 / 8:53 p.m.